China has the most active gaming community in the world. Despite a 15 year ban on gaming consoles – and a generation of kids who grew up without an XBox, Playstation, or Nintendo 64 – China’s game industry raked in about $22 billion USD in revenue last year, more than any other country, according to market research firm Newzoo. This year, China’s mobile gaming industry is expected to continue growing, but not as sharply as it has in the past. Smartphone sales, which add more paying gamers to the market, are slowing as the domestic smartphone market saturates. China’s overall digital gaming industry will be affected, as mobile gaming made up 36.6% of China’s digital gaming market in 2015. In 2015, revenue from China’s mobile gaming industry surpassed that of the U.S, bringing in $6.8 billion USD of combined domestic and export revenue. The industry also enjoyed a year-on-year growth rate of 22.9% last year, according to a report by big data mining and analytics firm, DataEye. Revenue from China’s mobile gaming industry has increased steadily and rapidly over the past few years, growing from $2.3 billion in 2013 to $4.4 billion in 2014. You’ve probably heard this a million times, but 2016 might finally be the year for virtual reality gaming to excel. That’s because VR hardware and software are finally ready for it. 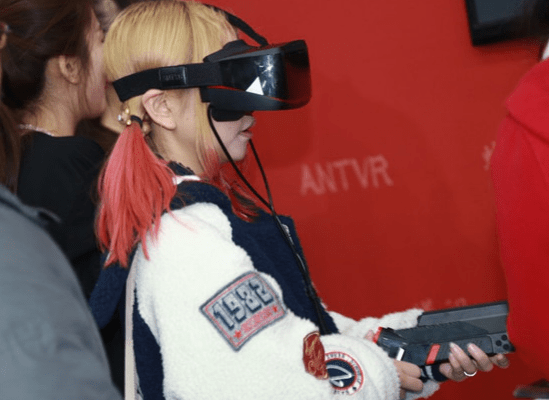 In China, VR headsets and equipment are now widely available and accessible thanks to Chinese companies including ANTVR, LeVR, DeePoon, and Baofeng. This year, Facebook’s $2 billion VR darling, the Occulus Rift, will finally launch with shipments coming out on March 28th (pre-ordering has already started!). VR content is also becoming more accessible. Foreign companies like Jaunt, Immersive Media, and NextVR are offering games, videos, and live-streaming in virtual reality. In 2015, Jaunt received $65 million USD from Walt Disney, China Media Capital (CMC), and Evolution Media Partners, a sign that the company might target the Chinese market soon. Cheap panoramic cameras like the Insta360 and platforms like Immersive Media’s im360 Server Platform have also helped to lower the barriers to entry for VR content production and publishing. Niko says e-sports are defined as “professional or amateur tournaments and organized competitions involving specific game genres,” which the Chinese Game Publishers Committee specifies as Massive Online Battle Arena games, Action, Shooting, Casual, Poker and Trading Card Games. According to Newzoo, more than 170 million people worldwide watched e-sports in 2014. In 2016, China’s e-sports ecosystem, dominated by tech giants including Tencent and NetEase, is expected to expand as more people in China become e-sports spectators. 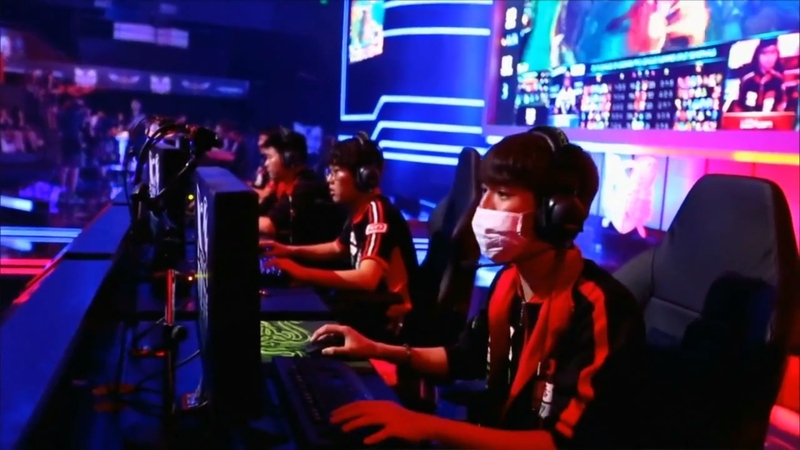 China’s e-sports ecosystem has grown rapidly. Already, it encompasses a wide variety of industrial players, such as developers, publishers, e-sports clubs, organizers, e-sport platforms, and live broadcasting sites. The e-sports industry is a lucrative one in China, with some e-sports commentators earning up to 10 million RMB (about $1.5 million USD) each year. In 2014, the World Cyber Arena (WCA) hosted an e-sports event in China where prize pool estimations varied between $95,000 USD and $1.1 million USD. China’s gaming market is incredibly crowded. In 2015 alone, the SAPPRFT (State Administration of Press, Publication, Radio, Film and Television) in China approved 750 games. In 2016, consolidation in China’s gaming market is expected, especially among small to mid-sized gaming companies, while bigger companies like Tencent and NetEase continue to battle each other for the top 10 titles in mobile gaming. Similarly, we expect more small and medium-sized gaming companies to dig into new market segments, like girl games, warfare strategy games, and animation or comic games, as they face increasing pressure from competitors and market preference for quality products. 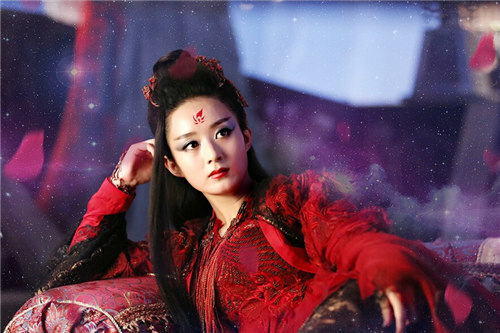 Popular TV series ‘Hua Qian Gu’ was simultaneously released with a game of the same name. In 2016, Chinese gaming companies are expected to invest more in pan-entertainment strategies, which can provide opportunities for IP (intellectual property) monetization. Pan-entertainment is cross-sector collaboration across different media such as books, movies, games, animation, and comics. For example, “Hua Qian Gu,” a popular Chinese T.V series, was jointly released with a mobile game of the same name in June 2015. For tech giants like Tencent, who own stakes in animation, digital books, and film, pan-entertainment can be a way to leverage content across different platforms. The company announced its plans to create pan-entertainment businesses during the 2015 ChinaJoy tradeshow, and hired two famous Chinese authors, Nanpai Sanshu (南派三叔) and Liu Cixin (刘慈欣) last March as part of their strategy.